I am back in London after another trip to Kerala. Winter is still here and I am glad I escaped the snow and cold wintery weather while I was away! Chestnuts have a sweet crumbly flesh with a distinctly nutty taste. The outer shell is tough so peeling them is a difficult task, but I can tell you it is worth the effort in the end. 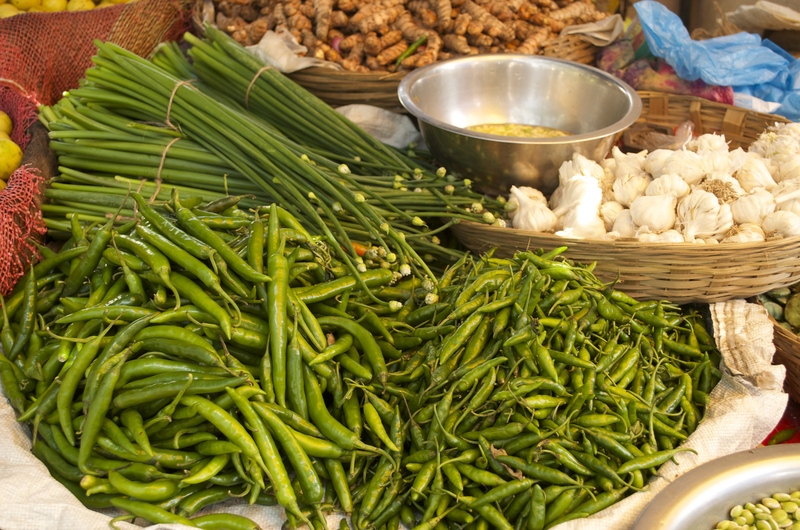 You can use frozen peeled chestnuts or the canned ones if you prefer, but I like to use fresh ones when they are available in abundance during this season. 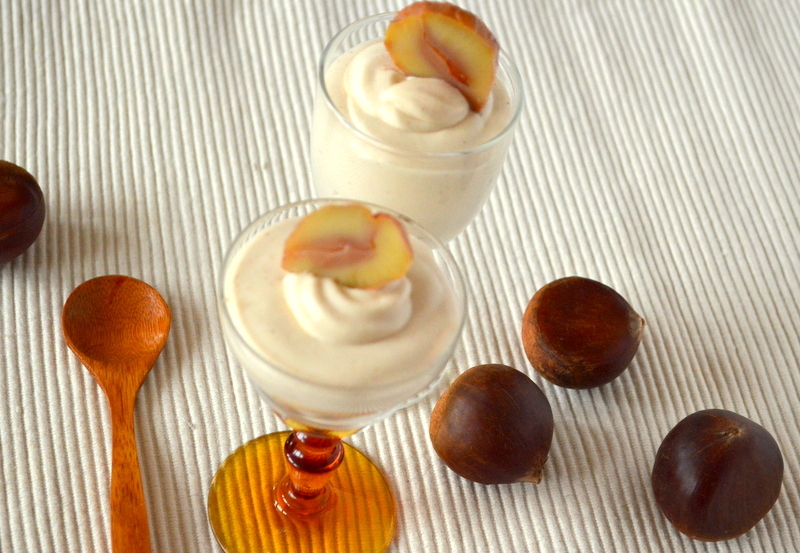 I have boiled, peeled and then pureed the chestnuts with sugar syrup before adding them to this mousse, but you can use canned Chestnut puree or crème de marron instead. Cut a cross in the bottom of each chestnut. 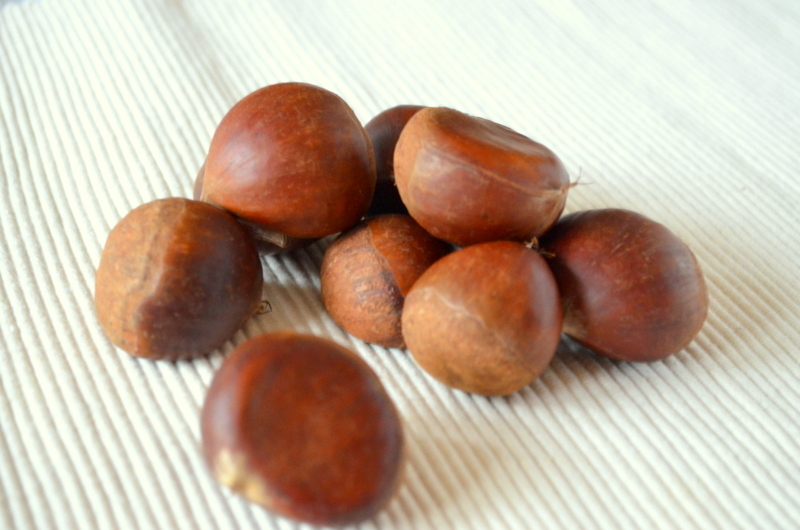 Place into a pan of water with a pinch of salt boil and simmer for 45 minutes until the chestnuts are soft inside. Remove the chestnuts from water and leave to cool. Peel the outer shell and inner membrane of the warm chestnuts using a pairing knife. Make a sugar syrup by boiling sugar and water until dissolved. Blend half of the peeled chestnuts with the sugar syrup and vanilla extract to a fine puree. Chop the other half of the peeled chestnuts and leave aside. 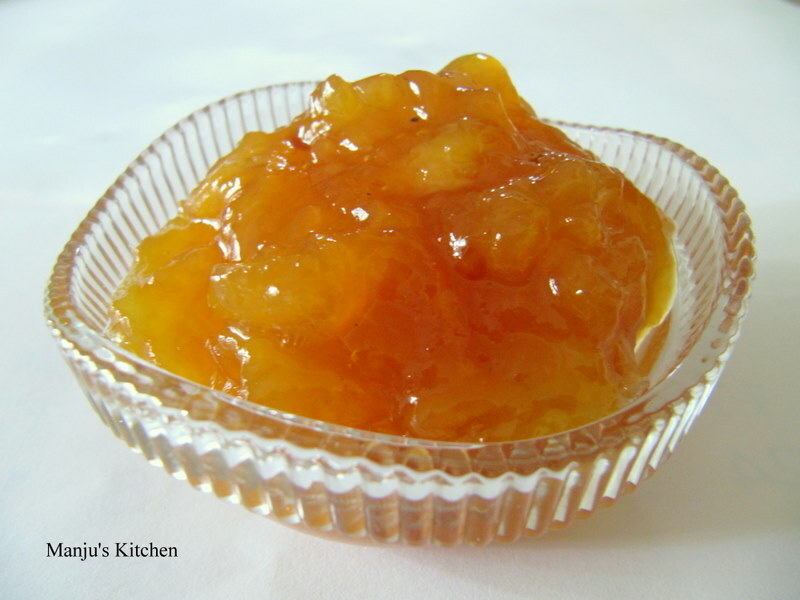 Soak gelatin in 4 tablespoon of cold water for ten minutes and then melt over a hot water bath. 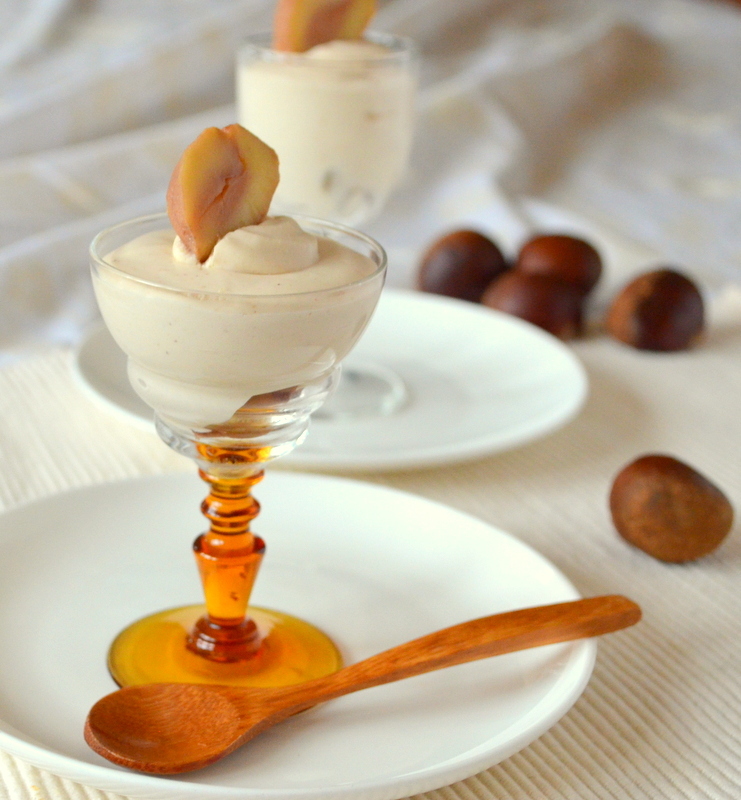 Whisk the cream into soft peaks; fold in chestnut puree, melted gelatin and chopped chestnuts. Pour into serving molds and chill in fridge until set.